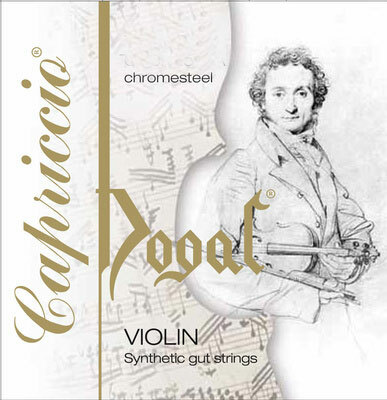 Dogal's CAPRICCIO Orchestra Chromesteel Violin Strings are handmade in Venice for the professional player. The Wound strings feature a 'Synthetic Gut' core, and are impervious to damp or other difficult climatic conditions. These CAPRICCIO violin strings allow players to easily attain a warm, intense, and powerful sound, with an unmistakeable authentic 'Italian Sound'.